The meat of the Serrano Ham Monte Nevado Legado de Liedos Boneless is a product of low salt content and smooth and slightly salty very well-cured taste, inherited from the old hams manufactured in Liedos. The Serrano Ham Monte Nevado Legado de Liedos Boneless comes from the hind legs of white pigs, of excellent qualities for making the slow-curing Serrano Ham. These pigs are naturally fed with fodders on an intensive farming regimen and held without any exercise. These hams are a flagship product of traditional flavor. Made by the Monte Nevado Company, the Serrano Ham Monte Nevado Legado de Liedos Boneless continues the tradition of their ancestors with modern control and production methods, preserving the parameters of temperature, humidity, and hygiene controlled in all the processes. 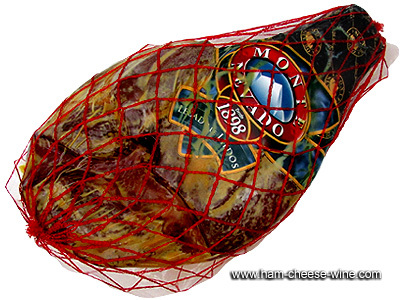 The Serrano Ham Monte Nevado Legado de Liedos Boneless has a special flavor and character as it presents a delicate fat infiltration, which makes of this Serrano Ham Boneless a delicacy of very high quality. The Serrano Ham Monte Nevado Legado de Liedos Boneless is a food produced with the best raw materials, which are ideal for the production of cured hams of the highest quality. During the preparation of the Serrano Ham Monte Nevado Legado de Liedos Boneless it is kept for an extended stay in the cellar, which allows it to gain its characteristics aroma and flavor. This unique delicacy, cured in natural drying for more than a year and kept under the strict supervision to yield the best results. 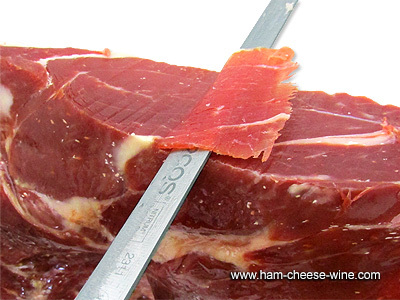 For better tasting the Serrano Ham Monte Nevado Legado de Liedos Boneless, it should be consumed in small thin slices. Among its properties the Serrano Ham Monte Nevado Legado de Liedos Boneless is considered an excellent product, highly beneficial for the health because it contains low caloric value and a great amount of vitamins and proteins. Both the proteins and the fat it contains, make the Serrano Ham Monte Nevado Legado de Liedos Boneless a highly digestible product. Ingredients: pork, salt, sugar, E-252 and E-250 preservatives, and E-301 antioxidants. 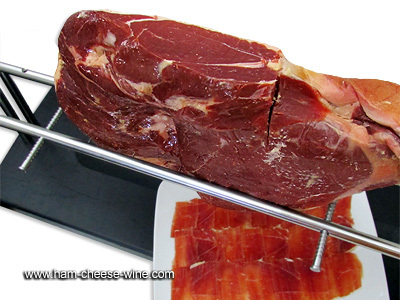 The Serrano Ham Monte Nevado Legado de Liedos Boneless should be stored in a cool dry place, as the high temperatures or excessive cold can alter the properties of the Serrano Ham. Also should be stored at room temperature as stable as possible. After the initial cut is made, the Serrano Ham Monte Nevado Legado de Liedos Boneless’ open area should be covered with a piece of bacon leftover from the bark. This will prevent the deterioration and drying of the product. Then we must cover the Serrano Ham Boneless with a porous dishcloth to prevent the ham from sweating and its salts to concentrate. The boneless ham should be stored in a vacuum-packaging bag. Once we start to consume the Serrano Ham the piece should be placed in the warmest part of the refrigerator (2-10 degrees). 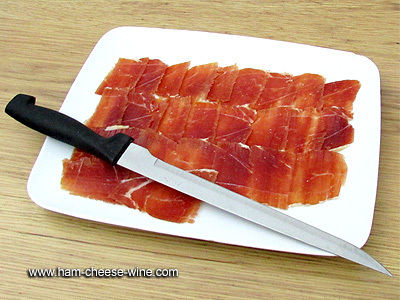 It is important to cut just the amount of the Serrano Ham Monte Nevado Legado de Liedos Boneless to be consumed. The first slice should be removed if it has been exposed to air for some time. For the meat to retain all its organoleptic qualities, the Serrano Ham Monte Nevado Legado de Liedos Boneless should be consumed at room temperature to verify the brilliance of its natural fat. 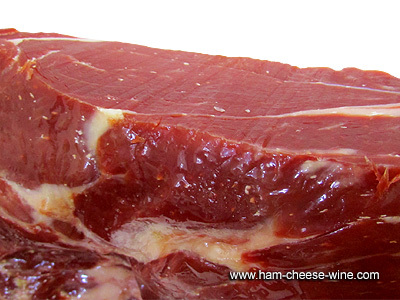 The slices should be thin, medium sized and with some fat for the consumption to be juicier. 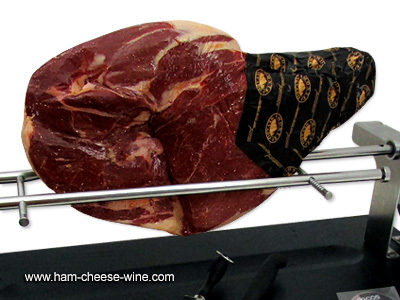 This unique product combines two fundamental factors: the careful selection of raw material and the tradition and experience in the preparation of the hams. This makes the Serrano Ham Monte Nevado Legado de Liedos Boneless a product of the highest quality, one that occupies an important place in the world. 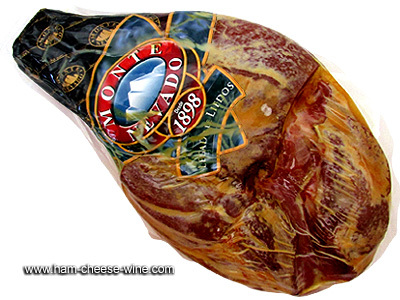 Why Serrano Ham Monte Nevado Legado de Liedos Boneless is such a Special Product? 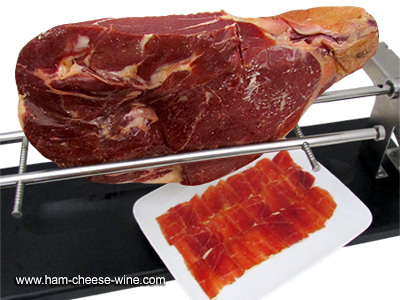 This boneless Serrano Ham, considered an exclusive product, comes from white pigs crossed with Duroc, Pietrain, Landrace or Large White pigs. They are bred by Monte Nevado Company, which guarantees its purity, in an intensive farming system. Monte Nevado is a family business founded in 1898. It has perfected its art through the years and created a Serrano Ham Monte Nevado Legado de Liedos Boneless with the best quality. It has a solid foundation and strong tradition, which has allowed it to offer products of special taste obtained from a rigorous selection of raw materials and a meticulous and careful production process. In 2006 Monte Nevado Company received authorization to export their products to the United States. Considered a pioneer in the export business, it has been recognized as one of the first companies authorized to trade in the EU (year 1987). The Monte Nevado Company has obtained various certifications and international awards for the highest quality of their hams. A member of the Serrano Ham Consortium, the Monte Nevado Company is one of the first to be certified as Traditional Specialty Guaranteed (TSG) (ETG for its acronym in Spanish) in accordance with Regulation 2419/1999 and registered in the Register maintained by that name. This requires the producers to meet the minimum quality requirements to elaborate the product, according to the Regulation. 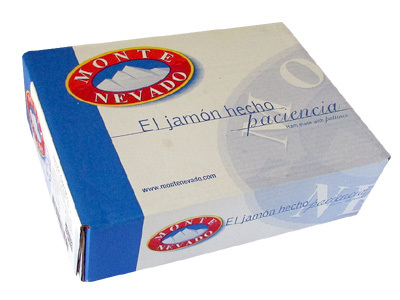 This product, Serrano Ham Monte Nevado Legado de Liedos Boneless, is a genuine dish from the Spanish cuisine. With its characteristic aroma and flavor, it is a guarantee of quality for the consumer. Because of its many nutritional qualities, the Serrano Ham Monte Nevado Legado de Liedos Boneless is a food recommended for everyone. Its mono unsaturated acids and its oleic acid help to eliminate the bad cholesterol and regulate the good one. 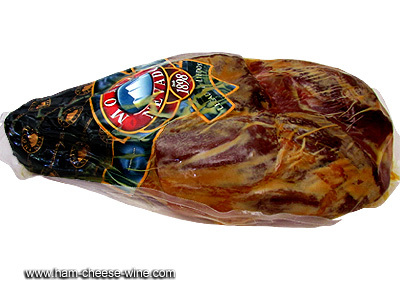 This Serrano Ham Boneless, of special features, allows us to enjoy a product that offers a distinctive intense flavor that lingers on the palate. 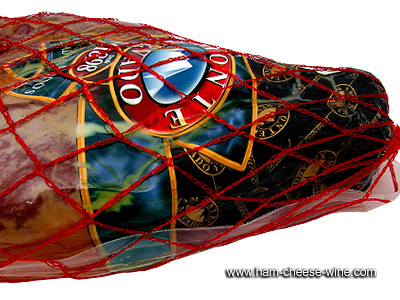 Ham Cheese Wine now brings you one of the best Serrano Ham, the Serrano Ham Monte Nevado Legado de Liedos Boneless with full warranty. Our company was created by Francisco Carrasco, licensed professional master cutter from Spain and settled in Miami, Florida, United States. His experience of over 25 years as a professional cutter guarantee you the selection of the best product, the Serrano Ham Monte Nevado Legado de Liedos Boneless.